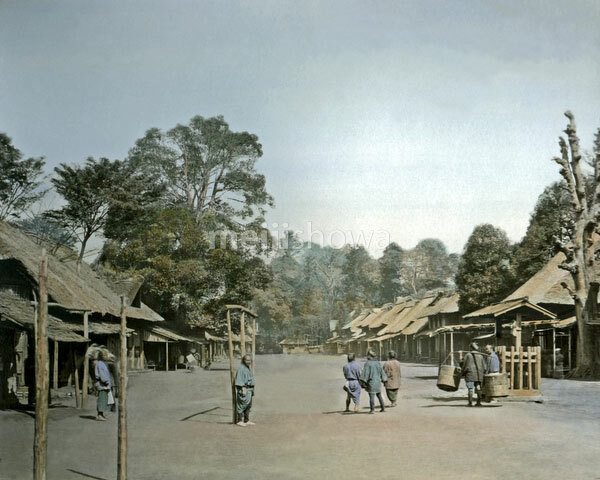 Haramachida (原町田) in what is now Machida, Tokyo, ca 1860s. Near what is now Haramachida Chuodori 4-chome (原町田中央通り４丁目付近). Thanks to its location between Yokohama and Tokyo, the once sleepy little hamlet quickly developed from the mid 1850s on.